First and foremost, this page is for reaching out to those special people willing to volunteer their time and effort towards our community service in an effort to help adoptees on their search for birth family. We feel that our best volunteer opportunities fit people who have a knack with genealogy, as well as, have a few hours every other week to devote to this cause. Search Angels is a nonprofit organization where a single volunteer can have a lasting effect on hundreds, if not thousands, of adoptees. It is our belief that everyone deserves to know where they came from. We spend a great deal of time trying to find volunteers that can stand up to this challenge. We are not just a local community service, but also a national one, serving every adoptee who seeks our assistance across the United States; and even sometimes, beyond. Our Search Angels work from home volunteer jobs, that range in various types of research and professions with a myriad of different skills and background that complement their style into each adoptee’s case. Many of our research volunteer’s bring a unique perspective in their volunteer positions and volunteer projects evolved over years of complimentary life experiences in their chosen fields. When it comes to knowledge of the past, a volunteer with a diverse background in complex puzzle solving and abstract thinking can choose paths other’s may have overlooked in their rush to conclusions. While other organizations are just trying to find places to fill a volunteer worker void, our aim is to find the right people with the right cases. If you were separated from your birth family in the past, chances are a large parts of your family history has remained a mystery all of your life. At one point or another, we all want to know what exactly makes us who we are. We may have been raised in an adoptive family who we feel gave us the nurturing we needed to thrive in this world. Yet, there is a part of us that can still feel missing and needs to be resolved. It is at these times, driven by a need to know about our medical background, the nature of our birth family, or some other deeply seeded necessity, we must seek out and find our biological family roots and learn as much as possible. Whether we can find a volunteer local to the adoptees’ place of birth or one who just fits the type of circumstances or field of research that might complement each search, we do our best to set the stage for a successful outcome. Our nonprofit volunteers have discovered over the experiences of hundreds of adoptee cases that these searches are not just a search for biological family, as they become a search for the adoptees identity; that often are a blend of both the adopted family and the birth family. Some adoptees put their trust in places looking for volunteers that simply want to help others. While this is certainly a noble idea, the people adoptees need will not just be places to volunteer at, or a volunteer in my community kind of group, but those best suited to fulfill these roles and skills sets; namely individuals with a strong background in research and genetic genealogy. Finding one’s birth family is not always easy. While the miracle of DNA testing might help us to locate cousins amongst the masses, using genetic genealogy, traditional search or other search methodologies, still requires dedicated volunteers willing to persevere past all these challenges with patience and sensitivity. It takes a special kind of volunteer to be the advocate for tasks that our adoptees may be initially challenged without the assistance of our nonprofit. While Search Angels was started as a solo effort, it has certainly become a much larger service which now affords the dedication and long hours assisting adoptees with their search for biological family. There are literally thousands of people in every State that could be coined, Search Angels. Be they professional genealogists, genetic genealogists, cousins, or simply... friends and adopted family members who volunteer their days to uncover the truth. We do not claim to be the first or only Search Angels, but we have evolved into one of the top volunteer organizations in the nonprofit sector that is committed in our mission and goals. Our community service ideas have become a well-balanced advocacy, dedicated to giving adoptees the peace, support and hope necessary to take on this journey and succeed where others have fallen short. Everyone of our volunteers must pass a background check before we allow them to work on the cases our clientele requires of us. We use the services of a well established background checking company, recommended by Pennsylvania Association of Nonprofit Organizations (PANO); which Search Angels is a member of. The service is called Coeus Global; using their nonprofit background screening program, we screen all our qualified candidates to make sure they can be trusted with the sensitive information shared with them throughout a search. Read more about the specific screening services each volunteer must pass here. Allison - was born and raised in Southern California. She has a bachelors in Economics, a law degree, and is an avid researcher. She has been a practicing litigation attorney for almost twenty years but recently hung up her courtroom boots to join an in-house legal department for a large residential builder. She got her search angel skills after working with the organization to find birth parents in her own family. This was such a positive and interesting experience that she immediately knew she wanted to join the team and help other adoptees with their journey. Ann Ru - is originally from New York City. She has three grown children, two grown stepchildren and a partner who all bring her continuous delight! Her professional career began as a New York City Police Officer. After eleven years in that career she graduated from college and became a grief counselor. About five years ago she joined a local family-owned funeral home. She loves animals (especially dogs! ), reading, history and gardening. She has been doing genealogy for over two decades and genetic genealogy for almost five years. She is very adept at using AncestryDNA and GEDmatch. Ann is most grateful for the opportunity to help people connect with their families. Becky Block - has been doing research since Ancestry first started. She can be found on Ancestry every single day looking and adding to multiple trees. She has found several long lost family and helped others locate family, as well as, reunite with family. Helping people is a passion of hers since her children have all grown up. Genealogy has become a passion of hers. She loves hunting through all the records and have helped several of her family with their own searches and building family tree's. Cindy Burke - is from Ferndale, Michigan. She is married and has four children and six grandchildren. She has been working with Ancestry for about fifteen years. She started working with DNA about two years ago and has had a passion for searching for biological family through DNA and Ancestry records, as well as, looks forward to challenges these cases pose. She is also experienced using FamilyTreeDNA, MyHeritage and Gedmatch. 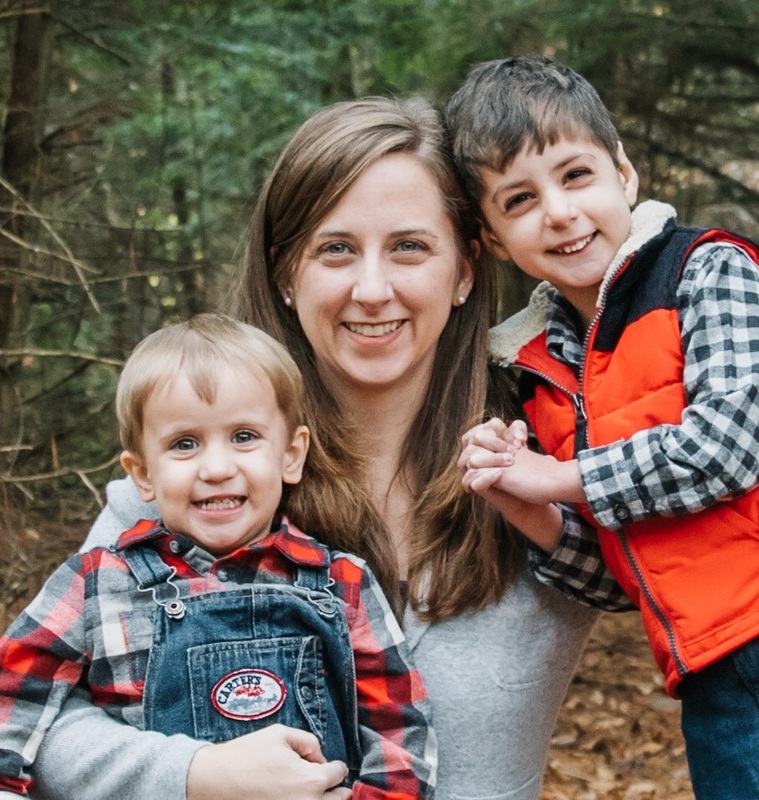 Dana Wright - lives in New Hampshire with her husband, their two young boys, and her dog. She comes from a family of historians and has always been fascinated in family history. In college, she also developed a love for biology, particularly human genetics. She earned her M.S. in molecular biology and now works at a clinical genetic testing facility where she is part of a team of geneticists diagnosing people, mostly children, living with rare diseases. Since genetic genealogy involves her two passions, genetics and history, Dana jumped at the chance to discover the identity of her children’s great-great-grandfather using Ancestry, MyHeritage, and GEDmatch. After several months of building family trees, she was ecstatic to confidently identify the man who was born 140 years ago. She found such satisfaction in the project that she decided to devote her time and skills as a search angel. Daniel Richards - Born and raised in Massachusetts, Dan has been doing genealogy research for over 15 years, building genealogical trees for himself, family and friends. Utilizing DNA analysis to augment his research, he’s uncovered many new relatives which never would have been possible before DNA testing became available. Recently retired and looking for ways to give back, volunteering with SearchAngels was the perfect solution. He is looking forward to helping as many adoptees as possible find the relatives they have been searching for. David Neal - Answers to the questions of family and origin is one of the most essential human desires. David has found that helping an adoptee search for their birth family is a unique opportunity to have a profound impact on another person's life. Assisting with the search is an endeavor to which he brings compassion and dedication. And he takes great pride, satisfaction, and pleasure in a successful result. David is a software engineer by vocation and a genetic genealogist by avocation. For an adoptee search he combines genealogical problem solving skills and computer expertise together with a perseverance to solve a mystery. He has significant experience with online family tree generation and in using AncestryDNA to guide in the locating of birth relatives. He is also very knowledgable of FamilyTreeDNA and Gedmatch. Dwight Brooks - is President of his own product design firm, Brooks Technical Solutions, Inc. Part of creating new products involves hours of internet research to solve technical challenges. This problem solving skill is much like the techniques he uses to solve complex family searches. He has enjoyed doing genealogy for the last ten years and using DNA to aid his research the last four years. After years of researching his own family, he sought out new challenges involving genealogy and DNA which led him to helping adoptees find their birth family on sites like SearchAngels.org. He has become adept at researching on genealogy sites like Ancestry.com, FamilySearch.org; using all the DNA matching sites including gedmatch, FTDNA, and 23andMe; and finding scanned vital records from both domestic and international sites. He has found that helping adoptees is some of the most rewarding volunteer work he has ever done and enjoys hearing about reunions from his clients. Emily White - is married with two children and two step children. She has always been intrigued by family history and learning as much as she could about those who came before me. She has been working on her own family tree for a few years and have been dubbed the family genealogist. Two recent DNA matches of hers reached out for help locating their birth parents; being adoptees. In each instance Emily was able to identify their biological parents and help them get in touch with close surviving relatives. This was so exciting and rewarding for her that she knew she wanted to continue to help others with their journey. Erica Rodgers - was born and raised in South Carolina. She moved to North Carolina when she married. She has one daughter that’s graduating high school in just a few short months. We have two spoiled Yorkies. She is an insurance agent and has been one for over twenty years. She is also the regional manager for their agencies. She found out who her birth father was in 2017 by means of Ancestry and several mirror trees that eventually led her to the truth. After that she became even more passionate about genetic genealogy. She believes everyone has the right to know where they come from. Francis Rios – Originally from New Jersey. She works as a project manager by day and indulges her inner genealogist at night (and on weekends)! Francis has been working on her family tree since 2007. During her college years, genealogy fell to the wayside but upon graduation, she was back to researching again! Once DNA testing became popular, Francis tested herself and other family members in a quest to delve deeper into her known roots (and solve a mystery as well). Using DNA and the paper trail, Francis has been able to tie 60+ DNA cousins to her family tree and is actively involved in several searches to help other DNA cousins find their biological families. Francis can interpret autosomal DNA results and frequently uses websites such as AncestryDNA, GEDmatch, and DNA Painter. A bilingual speaker of Spanish and English, Francis has done research in both languages and looks forward to being able to use her language and genealogy skills to help people find those they seek. Ginger Ebersole - One of her earliest memories is of asking her grandparents what their parents' names were. She has always been curious about the tapestry woven by relations, both known and unknown. Ginger loves mysteries and puzzles, and helping others. After years of building many different family trees and studying DNA matches, she became skilled at turning up nuggets of data that no one in the family knew. Then a distant cousin asked for help finding her birth parent. Ginger was able to find that individual, and the passion was ignited for doing this type of research. Greg McCammon - has had a passion in genealogy dating to his early childhood. Over the years, he has turned that passion into a true desire to help individuals locate biological family members from whom they have become separated. He has an excellent understanding of DNA testing results and genealogy. He finds some of his greatest joy in life helping others find their long lost family members. He loves a good challenge and is very detail driven, leaving no stone unturned. He has found that paying attention to small details sometimes is the key to discovering the identities of those long lost family members. He has extensive first hand experience in DNA results and Ancestry.com. 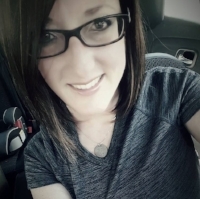 Heather Warren - is a a mom of three awesome boys and has been married for twelve plus years. She volunteers on the board of parks and recreations in her home State and the tree commission in their little town. When she is not creating for my at home business, she is researching and helping friends build their family trees. The past eight years she has located missing family members of acquaintances and helping several people who were put up for adoption and search for their biological mothers and fathers with great success. She knows that filling in those missing pieces is so gratifying not only for the people she has searched for but also for herself. She also grew up without knowing where her biological mother was. At nineteen she found her birth mother through self-taught researching on her own for countless hours. She is so thankful she had the ability to complete that search. Her forte is mostly in using AncestryDNA and Gedmatch. Jaelyn Hardy - was adopted and performed her own adoption search before the days of the Internet. She has been helping other adoptees for years with their searches, and more recently added DNA as a search tool with great success. She is experienced with AncestryDNA and GEDmatch. 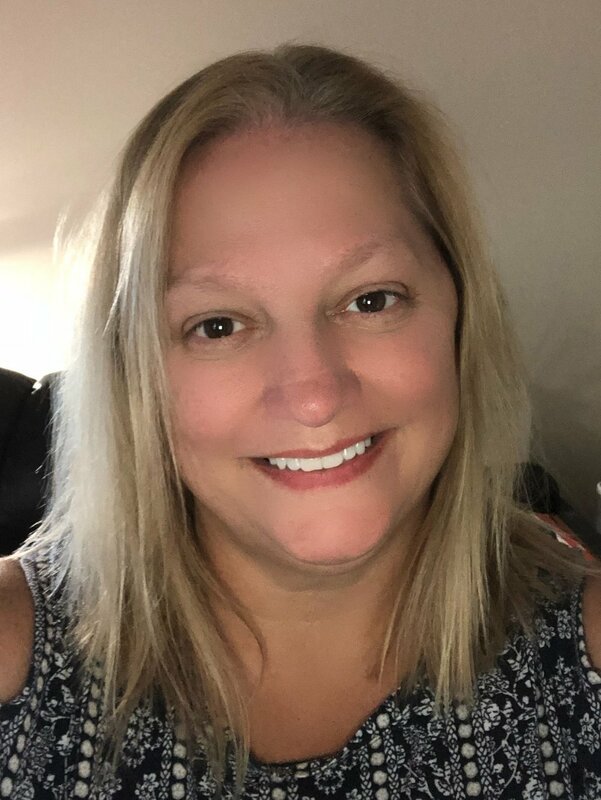 Jaelyn has been involved in genealogy for more than twenty seven years and has volunteered her time in traditional (family history), investigative (adoption searches), forensic (asset restitution) and genetic (DNA) genealogy. In addition to her real world job and genealogy work, she enjoys spending time with her dogs and running. Jarrett Ross - also known as the GeneaVlogger, began researching his own family history in 2009 while finishing his undergraduate degree. Since then he has built his own personal tree with over 7000 people, successfully connected with thousands of relatives all over the World, and has helped build hundreds of trees for people of varying ancestral backgrounds. Jarrett has found a specialty in Sephardic Jewish genealogy with an emphasis on the Dutch Sephardim as well as an expertise in Jewish Agricultural Societies of Southern New Jersey. Jarrett writes a blog called "Sephardic Genealogy", which focuses on his Sephardic genealogy research. He also has a youtube channel called GeneaVlogger where Jarrett talks about his research, gives genealogy tips, interviews other genealogists, and shows different aspects of working in genealogy. Jarrett is a volunteer curator on Geni.com and also currently serves as the Vice President of the Triangle Jewish Genealogical Society. Jeannette Baker - is originally from Michigan now lives in West Virginia. She has one grown child, two teens and two foster children. She has been working with Autosomal DNA for about eight years now. She started working with DNA to help her mother-in-law find her biological father, and became passionate about searching for biological family through DNA. She most commonly uses AncestryDNA uploading to GEDmatch, MyHeritage, and FamilyTreeDNA. More recently has become acquainted with 23&Me and Y-DNA. She has primarily worked with US cases but has worked on cases from the UK (making her TV premiere on "Secrets in My Family" session 1 episode 5), Scotland, and even one from Colombia. She loves a good challenge when she is not working with DNA she works for an environmental response company and a firefighter cleaning up hazardous spills. More than anything in the world she loves her family and spending time with them. Jennifer D. - was born and raised in Texas and is a proud mother of two daughters. She also works in the clinical research industry and holds a MS in Biotechnology. Jennifer has always enjoyed science and research and found that genetic genealogy was fascinating. Jennifer has been researching her family tree for over 15 years using records as well as autosomal DNA testing to fill in the missing links. It is very fulfilling to be able to know and understand your family history and share that with both old and newer generations to come. After recently assisting an adopted family member through genetic genealogy she was excited to find a way to use her experience and passion to help others. Joel Chambers - founder of searchangels.com (.org & .net), I do my best to assist others on their genealogy efforts online. Use our contact page to reach out to us here. Note that our efforts are focused on the theme of this website; searching for adoptees' biological related family members. We are well acquainted in using Ancestry.com to perform online tree building substantiated with good documentation. I personally have extensive experience working with DNA results from AncestryDNA, 23andMe, and FamilyTreeDNA. I am also familiar with using Gedmatch.com. I am an adoptee who found all his biological family over the course of a year using many resources and am always on the lookout for more talented people to join our ranks. Julie Clark - was adopted in 1968 and subsequently found both her birth parents, in 1995 and 2018. She is a Park Ranger/Historian who researches historical records and loves uncovering the truth. She feels that it is the right of adoptees to know where they come from. The whole endeavor is challenging, rewarding, and sometimes scary but life changing to know our roots. Justice Cain - first learned of genealogy while working as a Title Landman. She has always been drawn to jobs involving research; and title work was no exception. Clues, puzzles, detective work and finding answers have always been her wheelhouse. A friend, and colleague, was convinced that Justice would adore genealogy, and have a real aptitude for it; but she was leery because she grew up with very little family and no family history being discussed at all. Luckily Justice’s friend was stubborn; because when Justice discovered the long and rich family that belonged to her; it changed her life. For the first time she felt like she could answer who she was and where she came from; she had people! That was 2011, and Justice has been addicted ever since. She has continued to work on her own tree, located living relatives using Genealogy and DNA, and started helping friends and clients with their research and trees as well. “Paying-it-forward” is how Justice feeds her spirit today; and helping others to find their story is her absolutely Favorite dish! Kaylene Schuh - lives near Portland, Oregon, with her husband of 8 years and young son. Genetics, puzzles, and history have always fascinated her, and so she became hooked on genealogy after solving mysteries in her own family tree. She has traced part of her family tree back to Huguenots fleeing from France to Germany. Kaylene has worked with AncestryDNA and GEDmatch, and completed Boston University's Genealogical Methods course in Fall 2018. She is excited to put her skills to good use. When not caring for her family or researching, Kaylene enjoys hiking in the Pacific Northwest. Larry Sims – lives near Portland, Oregon, and is a retired military (USMC) officer. He has been married for 52 years and has three sons. He began his genealogy work in 1979, when stationed in Washington, DC where he had access to the National Archives, the Library of Congress and the library for the Daughters of the American Revolution. He has been researching family histories for the past 40 years. Larry is an Information Technology professional with 40+ years of experience. He has developed numerous family trees and has been involved in using DNA to find unknown parents for the past three years. He has been able to link numerous people up with their birth parents. He is very skillful in using Ancestry.com and GEDmatch.com. Lori Pendygraft - grew up in Kentucky and moved to Ohio three years ago. She has one adult son. She has been a social worker for twenty-four years working primarily with youth in foster care. She currently completed home studies and licensing for new foster parents. As an adoptee, she understands the need to know one’s biological family. she has completed her own search and now wants to help others through their own search process. Lisa Connelly Freeman - is a married stay-at-home mother, of 2 children. She became interested in DNA and genealogy, about 5 years ago, after her middle son passed away, at age 5. She has lived in New York, Florida, and currently, the DC metro area. She enjoys spending her time working on family trees, archiving cemeteries, traveling the world, and playing with the culinary arts. Lisa has a bachelors and masters degree in Special Education, with an emphasis on autism and mathematics. She has taught secondary mathematics for 8 years. Lisa loves looking for patterns and mathematical connections, when working on DNA, and family trees. Lisa has the most experience with Ancestry.com, but also has some experience with FamilySearch, FamilyTreeDNA, and GEDMatch. Lisa Peisner – is a retired Software Engineer, mother of two, step-mother to three and grandmother to three beautiful grand children. As an Adoptee, Lisa honed her research skills during her search that ended in success in 2017 after taking a DNA test with Ancestry.com. By using Newspaper Archives, DNA matches and family trees she was able to put all the pieces of the puzzle together around her adoption. The story that emerged from her discoveries is a fascinating one. (You can read about her journey in her blog here. Lisa has incredible compassion and sensitivity for all the players and understands the strong desire to find answers to the burning questions surrounding our beginnings. She wants to share her research skills and help other Adoptees discover their own stories and answers. Lisa Winter - grew up being fascinated with genealogy and family trees. She began her tree when she was a teenager and has one line tracing back to the 16th century. She has also worked on several other people’s family trees for them as well, always excited to share family history with them. She helped her husband locate his birth family. Through DNA and research she was able to locate both his birth mother and birth father’s family who knew nothing of him. She found such joy in locating her husband’s family she decided she wanted to help others on their journeys. When she is not doing her true passion of genealogy she is an office manager for an oral surgery practice. She has been happily married to her best friend for over thirty years and has two children as well as two grandchildren. Mark Miller – When Mark retired to his beach house in Dana Point, California after nearly 40 years of teaching mathematics, he started building the obligatory family tree. After finding aberrations in family documents, he asked a close relative to take a DNA test, which revealed that his relative was adopted. A math geek who naturally enjoys solving puzzles, he put his skills to work on analyzing the shared DNA matches. After that success, he was inundated with requests from family and friends, solving one case at a time. Not an adoptee himself, he nonetheless discovered that he derived great personal satisfaction from helping folks discover their unique stories. He uses ancestry.com and its autosomal DNA testing almost exclusively. Although he is currently developing analytic programming specifically for this system, success still seems to require a certain amount of grinding research and detective legwork. Mark and Gladys, a high school Spanish teacher, have been happily married 36 years and raised three kids in Orange County, California. 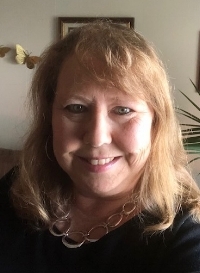 Mary Henderson - lives in Ann Arbor, Michigan and has been involved in traditional, document based genealogy research for over forty-five years, and has augmented traditional genealogy research with genetic genealogy for over six years. She enjoys taking a break from her own family tree brick walls to help others in their search for their roots. Mary is experienced with utilizing Ancestry.com, FamilyTreeDNA, MyHeritage and Gedmatch.com in ferreting out genetic ancestors. Mary Sellon - As an adoptee, Mary understands the deep desire to know your roots. Through the search for her own biological father, she became knowledgeable about DNA and genetic genealogy. Creativity has always been a big part of her life and those skills have proven invaluable in her searches. Mary is a Creative Director/Graphic Designer and a part-time Hairstylist as well as a proud mother and grandmother. She is an active member of several DNA and genealogical groups, which she finds tremendously helpful in staying current with searching techniques. Matt Weismantel - Adopted in Newark, NJ by Catholic Charities in a closed adoption in the early 1960s. He found his birth mother in 1993 (pre-internet) utilizing non-identifying information, a few hints, and his research skills, and went on ten years later and found his birthfather. He has also had reunions with several cousins and other family members. Matt reports that “these reunions were very significant for me, and settled many questions, providing me with a solid grounding that I had not felt before.” He has become an avid genealogical sleuth: and has become the source of information for many extended family members. Since the passage of the new NJ birth certificate access law, he joined an adoption reunion support group because he believed his experience and knowledge might be helpful to others. He has been able to help several group members, who had limited non-identifying information and vague DNA results, to quickly find their birth families. Before this he had also been involved with other adoption support groups and gravitates to organizations that represent and include all members of the adoption triad. He has also spoken at a number of adoption conferences. He knows that searching in the adoption realm requires unique perspectives and understanding, as it can include navigating complex family structures. He looks forward to putting his knowledge and abilities into action to help people as part of Search Angels. Meghan Ritter - has always been interested in the stories of those who came before her, and she loves how technology has facilitated her efforts in constructing those narratives. DNA technology fascinates her, and she enjoys the challenge of figuring out how she is related to the DNA matches that appear on Ancestry. She is a diligent and patient researcher, and she looks forward to using the skills she has developed to help others in their search for family. Meghan has lived in New Orleans since 2010, but visits her hometown on Long Island whenever she can. A high school English teacher by profession, she also enjoys writing and hopes to publish her first novel in the near future. Melanie Wich- is from St. Louis, Missouri. After assisting her adoptive relatives find their birth families through DNA analysis and genetic genealogy, she has developed a passion for research and searching through DNA and ancestry records to find family members. She thrives on challenging cases and remains determined to solve cases. She is experienced using 23andMe, AncestryDNA, GEDmatch, and FamilyTreeDNA. She believes every person deserves to know where they came from and find their family. Miranda Hopkins - is a mother of two boys and spends much of her time on Ancestry building trees for herself as well as friends. Her passion for searching began when she promised her dad she would find his birth parents. Using DNA test results and little information other than birth dates and ethnicities, she was able to figure out their identities. She has firsthand experience and has helped individuals from message boards as well as many other mediums is this endevour to find birth family. 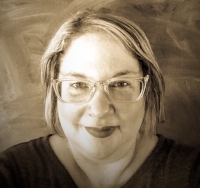 Miranda has extensive experience building genealogical trees, interpreting historic records, and using DNA matching to support documentation of family connections. Nancy Landini - Born and raised in New England, Nancy is an adult adoptee who has found her biological parents, siblings and extended family through DNA searching. She is currently helping her adult daughter with her own search for family in her native South Korea. As an adoptee and an adoptive parent, she understands the drive and desire to know ones’ genetic history. An Information Security Professional, Nancy has 3 children and 3 step children. Genealogy has been a lifelong passion and she enjoys helping others in their journey to find unknown or long-lost family. Nancy has extensive experience with Ancestry.com, as well as experience with FamilySearch, FamilyTreeDNA, and GEDMatch. Risa - has been doing genealogy since the early 2000's when she stumbled upon a family name of hers. She was curious how she was connected. It turned out that she was related to a huge amount of people with the last name Agranat. In 2014 she found her maternal grandfather's family in Israel through a second cousin DNA match of her mother. The confirmation of the connection was made on Rosh Hashanah of 2014. She had pictures of her grandfather and his parents. Cousin Fania, who she didn't know yet, confirmed that those were pictures of her Uncle Abraham Greenberg and her grandparents. All the pieces of the puzzle came together. Her mother was able to meet a first cousin that she never knew existed, in Israel. It seems the family was separated in 1924. Most recently she found a close friend’s half sibling too. They are going to meet each other this summer. Risa has first hand experience working with the genealogy of Ashkenazi Jews. She has expressed a deep interest in helping others. Her other interest include playing the flute, but her biggest passion is researching and connecting people. Rhonda Hoffman - Genealogy is Rhonda’s life. In the daytime she is a genealogy librarian and in the evening she chips away at her own brick walls. She is the editor and an author for a local genealogical society publication. Rhonda believes strongly in the right to know one’s own background and heritage. As a librarian she assists many adoptees, but is limited in the amount of assistance that she can provide to any one person. She joined Search Angels so that she can help see adoptees through to their birth identity and family reunification. Sally Reese - is a registered nurse by profession (specializing in obstetrical nursing). She has been happily married for more than twenty years and is blessed with two wonderful children. Genealogy is her passion. She has been working on her own family history for many years. She loves the research aspect of tree building. She began utilizing DNA in 2011 as a genealogical tool. The use of DNA helped to solve a few mysteries on her own family tree. Because she administers multiple DNA kits, she began to to hear from DNA relatives who were either adopted or had misattributed paternal events in their family trees and were searching for biological family. After helping a few people successfully find their families, she realized that she was in a position to be able to help people who find the task of interpreting their DNA results and using their matches to find their biological family too daunting. She believes that everyone has a right to know where they came from and the story of their origin. Susan Julien - entered the field of genealogy in order to trace her family's medical health history. DNA combined with genealogy became a passion as she discovered her birth father and then my paternal grandfather identity - both unexpected non-paternity events. She is a half sibling to ten and a full to none - so far! She is experienced with AncestryDNA, 23andme, FamilyTreeDNA, MyHeritageDNA, Gedmatch, and the use of many other DNA tools. She began her journey with the beta test at AncestryDNA, Richard Hill's book - Finding Family, and classes at DNAAdoption. She continues to learn daily while working with traditional records and in the fast-moving world of autosomal DNA testing. She lives in Louisville, Kentucky and is the wife and mother to four children, a son-in-law and a golden retriever. She works at the NSSAR as a staff genealogist doing lineage work four days a week. The lineage society accepts membership using autosomal DNA and YDNA results combined with traditional records. She has volunteered the past three years helping adoptees and those who are NPE's find birth family. She is excited to join the Search Angels organization and continue her passion in helping others. Suzanne Hall - has helped individuals who were not raised by their biological parents, locate them through DNA testing and genealogy. She is a happily married mother of two boys. She spends a lot of her time lately helping others find their first families. Tragically, she lost her own father at a young age and knows full well the pain of growing up with a missing parent. She is very comfortable in research and enjoys getting involved in very detailed work, like looking for patterns and clues. Research work is her forte and she loves a good challenge, especially when it involves helping others! Wendy Randall – is originally from North Carolina. Her professional career is in Software and Project Management. She has 26 years of genealogy experience helping others complete their family trees and finding birth parents. She loves finding the missing piece that brings a family puzzle together and is very adept in research. She frequently works with AncestryDNA, MyHeritage, GedMatch, State and County Archives, County Libraries and world resources specializing in Scotland, Ireland, England and the United States. Her most recent volunteer opportunity was completing the Mattie Curtis family tree for a family reunion at Mordecai Historic Park in Raleigh, NC. William Cox - enjoys genealogical challenges and has a passion for helping people find living relatives or ancestors. He is a contract specialist and certified paralegal who devotes much of his free time conducting genealogical research and writing family histories. During the past 10 years he has located birth family members for people living in several U.S. States by interpreting results from AncestryDNA, FamilyTreeDNA, 23andMe, and Gedmatch, as well as using written evidence and social media. He carefully documents genealogical research supported by the Genealogical Proof Standard. William is a proud native Kansan who has lived in Texas most of his adult life. Alyssa, Andrea, Angelica, Annette, Annie, Barbara, Beth, Blair, Bobbi, Brandi, Brenna, Brooke, Catherine, Chuck, Caroline, Cristina, Crissie, Dawn, Deanna, Deena, Douglas, Elizabeth, Elizabeth M., Elizabeth O'Hara, Ellen, Emma, Frank, Greg P., Haley, Heather, Jasna, Jason, Jennifer, Jeremy, Jessee, Jessica, Jessica K., Jody, Jon, Judi, Julian, Kaitlyn, Kami, Katherine, Kevin, Kristina, Krysten, Laura, Laura Mogk, Leigh, Lisa W., Maddy, Madison, Mark T, Mark W., Mary, Mary Joan, Megan, Meghan, Michael, Michele, Pam, Penni, Peter, Rhonda, Rob, Roxana, Samantha, Sarah, Sarah Joy, Sarah Thompson, Shaunna, Shari, Stacy, Susan, Susan F., Sue T., Tracy, Valorie, Vicki and Wendy B.